Cost efficient lifting capacity from Helaakoski! 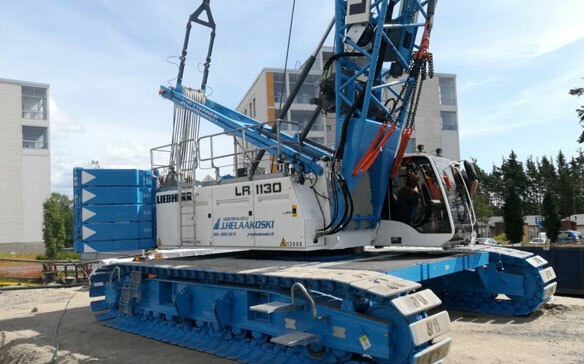 The lifting capacity of a lattice boom crawler crane is slightly higher than that of a mobile crane of the same size class, and therefore a lattice boom crane is a cost-effective alternative for a tower crane at many long-term work sites. 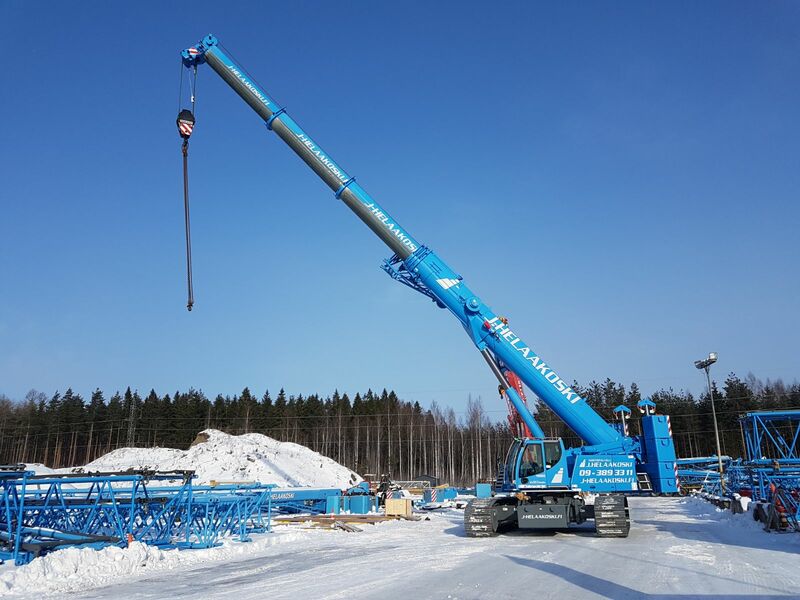 A clear benefit of a lattice boom crane in comparison with a tower crane is that because of its crawler-based undercarriage it can be moved on the work site at different stages of work. On the other hand, a tower crane takes up a fixed area on the work site, and moreover, the working range of the tower limits simultaneous performance of other operations. 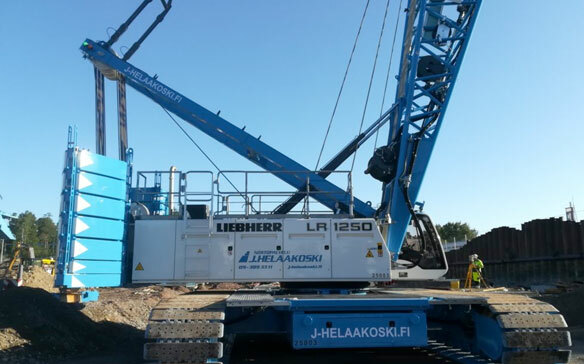 The hourly rate charged for a lattice boom crane includes energy supply, while a tower crane must be taken into consideration when arranging the power supply at the work site, and it needs its own on-site switchboard. 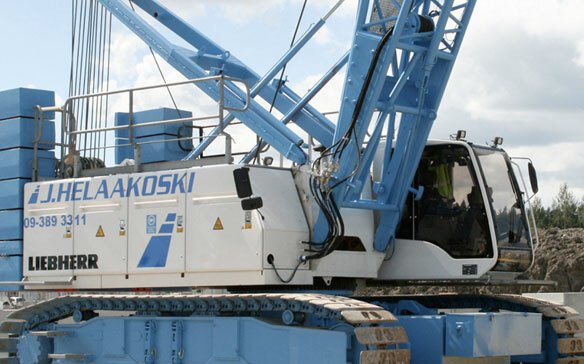 Naturally, a lattice boom crane provides a more limited field of vision compared with a tower crane, but it can partly be compensated with a camera. 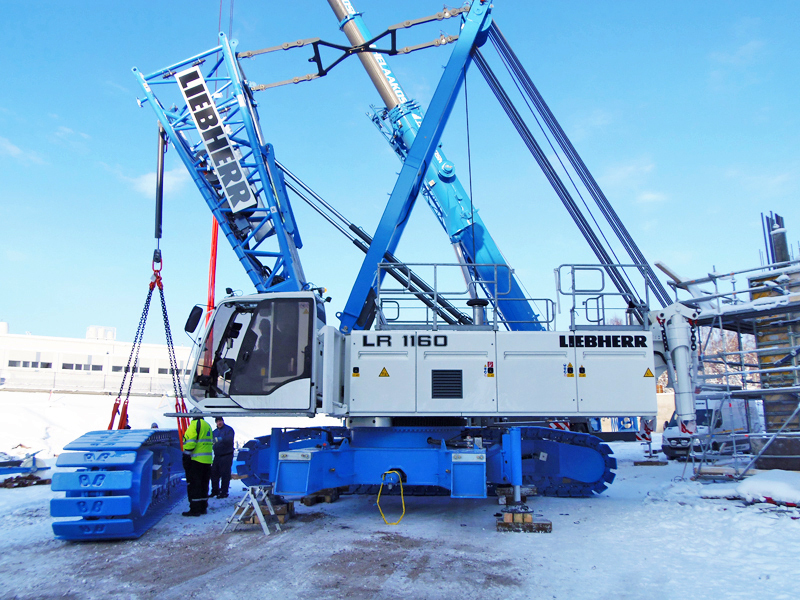 The parts of the boom of Liebherr LR 1160 and LR 1130 are interchangeable, which means that the range of boom options are nearly unlimited on both machines.